Cool science explanations for cooking phenomenon is more commonly known as molecular gastronomy. This is a modern concept and refers to the application of scientific principles referring to the understanding and development of food preparation. It has gotten the interest of many foodies and chefs these past few years because they tend to explain common sensation of tasting food. Let us have a look at Molecular gastronomy and its creators, scientific principles, kitchen tools, and ingredients. Molecular Gastronomy was developed in 1988 by a physicist, Nicholas Kurti, who wanted to revolutionize the way food is cooked. 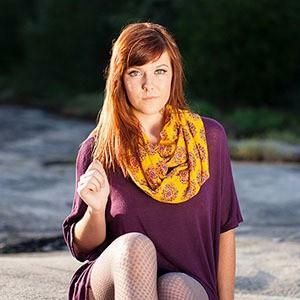 Focus on textures and transforming things such as liquids into gels or powders. 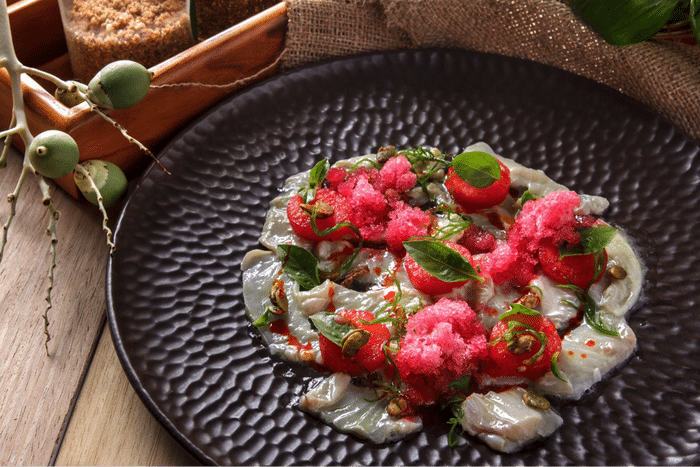 This way of cooking creates dishes such as transparent ravioli and foie gras cotton candy. It is safe to say that Nicholas Kurti wanted people to use science to trick the taste buds and experience food in a sensational way. Molecular Gastronomy is a science and there are techniques and ingredients that are essential to this process. Through trial and error, using the correct techniques and ingredients we can experience science explanation for cooking food in revolutionary ways. There are numerous ways of creating froths and foams in your modern meals. You can use a cream whipper or a hand blender and this adds an extra dimension to your dish. Dehydration is the process of taking all the moisture out of the item you are preparing. This technique is used to preserve the crispness and flavor of food as well as creating crunchy textures and is sometimes also used to create a powder that adds a new dimension. This technique uses juices, sauces and soups and makes them look like little balls of caviar. This is performed by adding sodium alginate to your liquid of choice and then dropping into a mixture of calcium salt and water. Then it is scooped out quickly enough so that a jelly forms on the outside and the balls stay liquid on the inside. Sous Vide consists of sealing your food in an airtight plastic bag and cooking in a water bath on a very low temperature. This method retains flavor and moisture in the food. In this technique, food is frozen rapidly using liquid nitrogen. This method allows the water inside fruits and vegetables to freeze without damaging the integrity of the cell membranes, thus preserving the texture of frozen food. Chefs that practice molecular gastronomy use maltodextrin, which is a starch like substance, to turn high-fat liquids such as olive oil into powder. 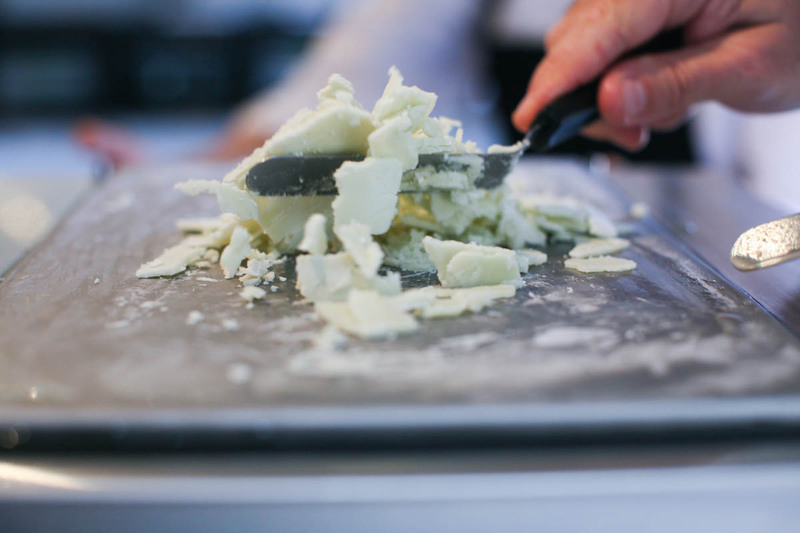 This is a process used when making mayonnaise but is now more commonly used in molecular gastronomy. This process refers to two liquids which usually separate when mixing, are blended smoothly together, such as water and oil. Products called Sucro and Glice are used in molecular gastronomy to create emulsions. This process has been used for many years, classically using gelatin, but in more modern cooking proteins such as agar which is algae based, and Gellan are used to make a rigid gel. This refers to that “fizzy” taste that you get when consuming things such as popping candy. Popping sugar contains carbon dioxide to give that effervescent quality. Think of a whipped cream p﻿﻿ancak﻿﻿e? That doesn’t sound possible, but with this machine makes this possible. The anti- griddle's top surface is cooled at -30 degrees Fahrenheit. This allows creams and juices to chill quickly, allowing for a crispy exterior and a creamy, soft interior. Put a dollop of whipped cream onto this anti-griddle and in twenty seconds you will have a whipped cream pancake. This is the machine is used when you Sous vide. It is a thermal bath and sealer, sealing the bag and bathing slowly on a low temperature to lock in flavor and moisture. Do you ever feel like a steak with a delightful smoke flavor but you don’t have the time to light a fire? The smoke gun is filled with hardwood sawdust and is lit, producing instant smoke. 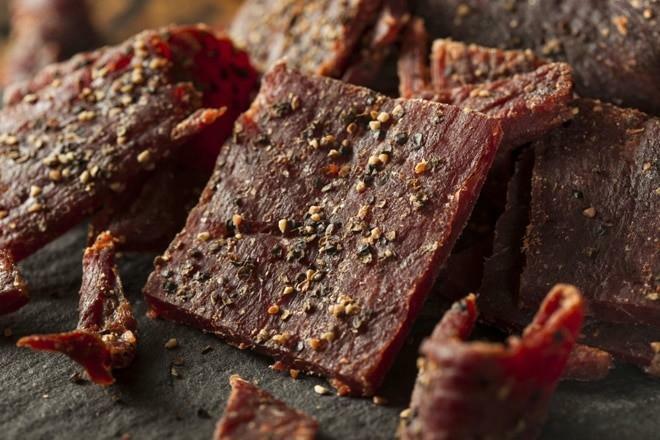 This smoke is infused in everyday cooking by putting the meat into a vacuum bag, pumping the smoke into the bag, sealing and cooking. You will have a delicious smoked meal in no time. This piece of equipment is needed for spaghetti and other pasta that need to be reshaped and extruded. This machine uses liquids and turns them into foams and froths. This particular type of siphon gun infuses extra flavor into the mixture. 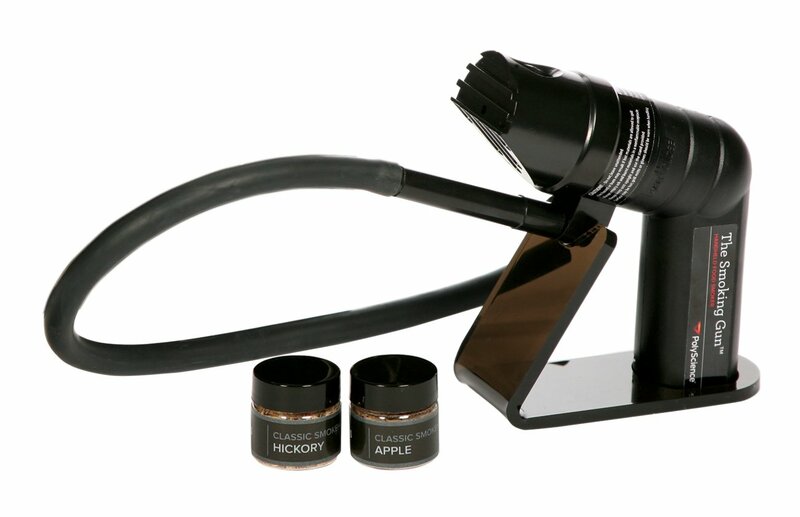 A blowtorch whiles not just for molecular cooking, is used to create heat to a small surface area and can be used to crisp up he surfaces of foods. Methylcellulose used to create gels. Carbon Dioxide used for making foams and adding bubbles. ​Hydrocolloids such as starch, gelatin, and pectin which are used as a thickening agent. Xanthan gum, used as a thickening agent. 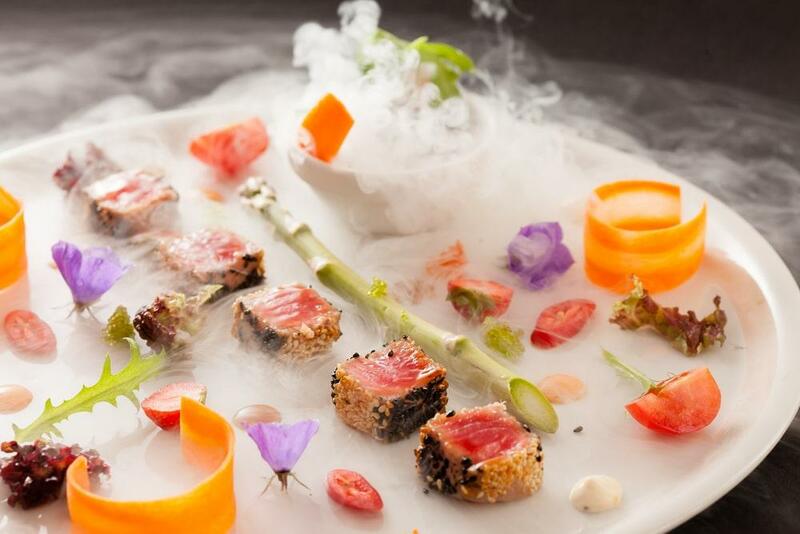 When we look at all the chefs that are using science in their cooking, it is safe to say that molecular gastronomy is up and coming and a great way for us to explain a simple cooking phenomenon. Making food such as orange foam and parsley champagne oysters are only a few things that you can make using science in your cooking. Creating foams, gels, and emulsions might just sensationalize your next dinner party. Why not try it? Follow in the steps of Michelin star chefs like Heston Blumenthal and Marco Pierre White who pride themselves on being pioneers of molecular gastronomy. By fusing science and cooking there are no limits to what you can achieve if you prepare properly and have all the correct tools and ingredients. 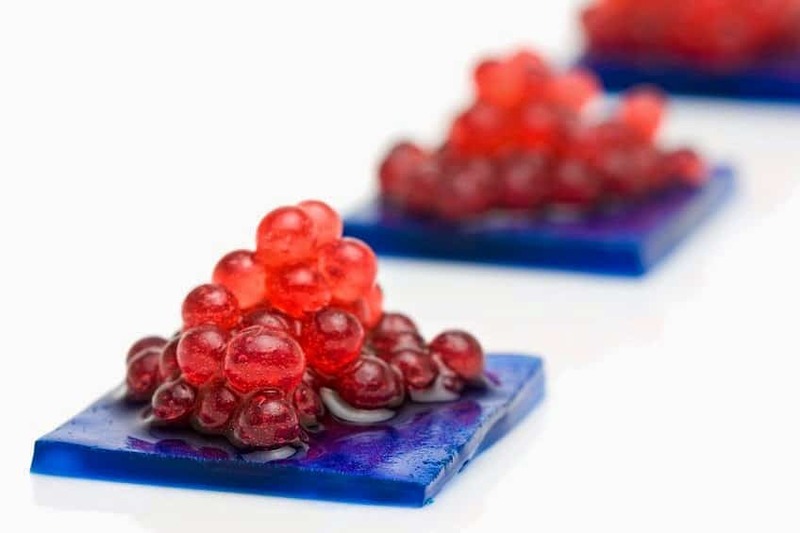 Molecular Gastronomy provides cool science explanations for an everyday cooking phenomenon.